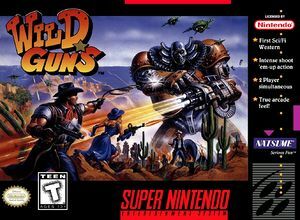 In Wild Guns the young and beautiful Annie went to see Clint, the renown space bounty hunter. "My entire family was abducted and killed by the Kid family. I will pay you whatever you want to help me get rid of those villains." "I don't need any help," said Clint in a haughty voice. "I insist on helping, replied Annie. "I have a personal vendetta against the Kid family, and besides, I bet I am as good a shot as you are." "We will see about that. Let's go get them!" The graph below charts the compatibility with Wild Guns since Dolphin's 2.0 release, listing revisions only where a compatibility change occurred. This page was last edited on 31 December 2017, at 05:06.